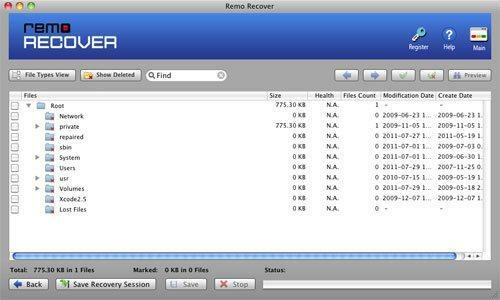 步1: 在Mac機上啟動Remo Recover並選擇 “Recover Photos” 選項 從主屏幕. 步3: 一旦軟件完成掃描過程，您可以在兩種視圖中查看從iPod中檢索到的照片列表，. “File Type View” 和 “Data View”. 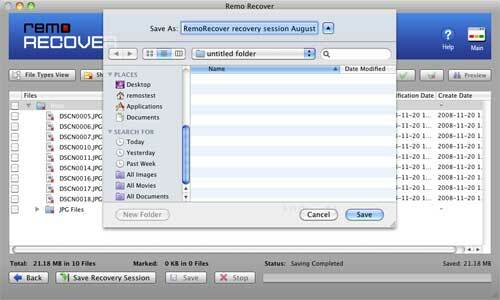 步4: 使用保存當前恢復會話 "Save Recovery Session" 選項以避免將來重新掃描卷.